Sometimes you realize it is time to say goodbye. It might cause pain, you might not be prepared, but you know in the long term that relationship is going to hurt you. This is the case of sugar. Here we will see why it is not just energy for the brain and why it is so harmful. Obviously, it is a polemic topic, and the sugar lobby wants you to see it as a nutrition source and to keep on eating it daily, of course, their business is at risk. Sugar plantations started in the XVIII century, before it wasn’t even consumed, so why do we now have a sugar pot at home? Some biomedicine researchers share the theory that many chronic diseases are not a disease per se, but a consequence of aging. Our self-defense mechanisms start to weaken, and osteoporosis, atherosclerosis, cancer or Alzheimer start to appear. It is still a theory (soon a post about it) but we can’t deny that elder people are a risk group of multiple diseases. For example, we can see below a graphic showing risk of coronary heart disease risk (coronary arteries perfuse heart muscles). The black line shows risk grow with aging in normal individuals. At the age of 50 we arrive to the risk zone (red area). 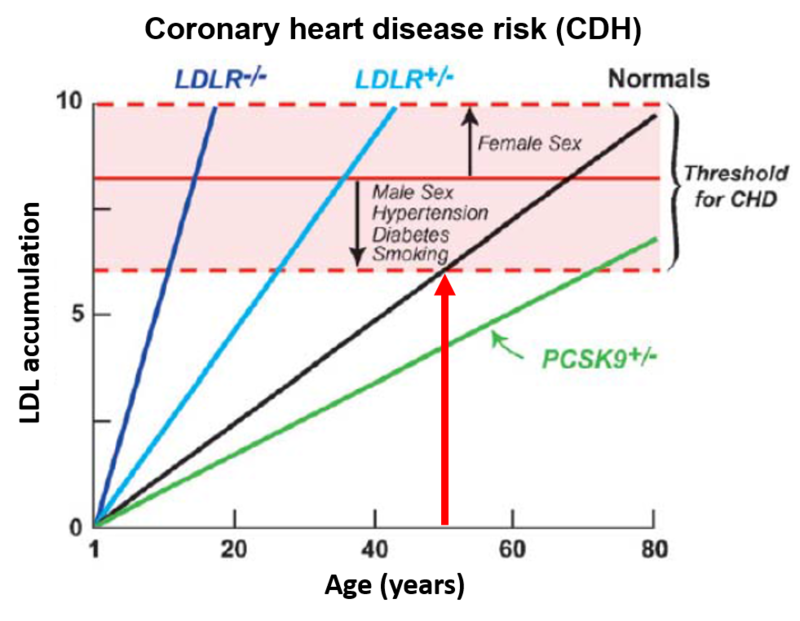 LDL receptor mutations determine if we get there faster (blue lines) or slower (green line). If you smoke, you have hypertension or diabetes the risk threshold appears lower, and you enter the risk area earlier. 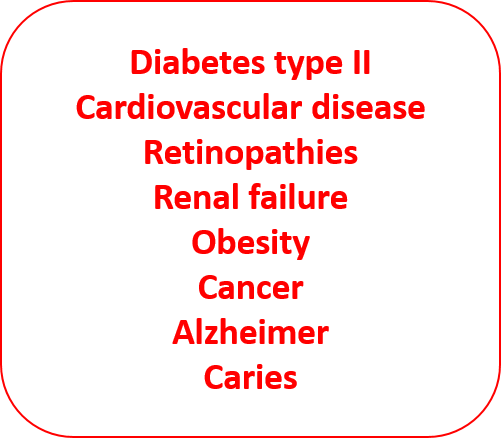 Like in coronary disease, once we grow old, we get to the risk area of many other diseases. But we can choose, do you want to get there sooner or later? your lifestyle will determine it. Sucrose, saccharose, generally speaking sugar, is very tasty, but it is harmful. It is not a secret, it is not essential for life. I am not referring to carbohydrates, those are essential for life, our body needs sugar, but in the polymeric form, which is present in rice, pasta, fruits (apples, bananas, watermelon,…) and vegetables (beans, cucumber lettuce). Polysacarides are hydrolyzed slowly in a controlled manner, sometimes they even pass the gut without being hydrolyzed, as it happens with the highly recommended dietary fiber present in vegetables, legumes and fruits. On the other hand, sugar is a dissaccharide, hydrolyzed during the digestion to glucose and fructose, rising its concentration over physiological levels. What does it happen with ingested glucose? 1. The pancreas detects we just ate something, it starts to secrete insulin and other enzymes. 2. 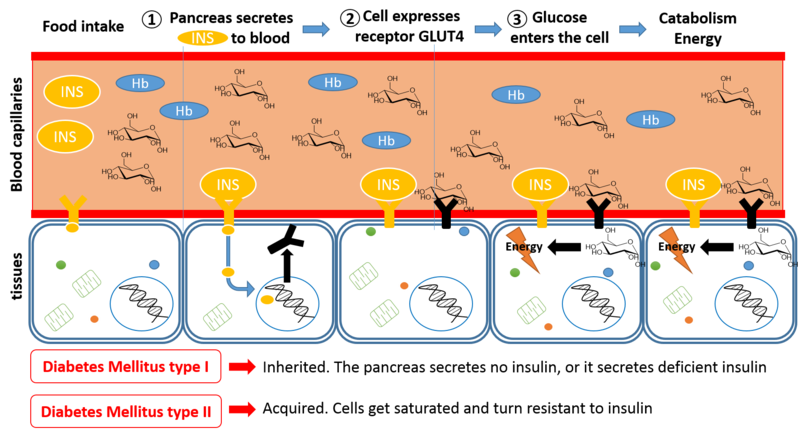 Insulin joins its receptors at the cell surface and a signal is send to the nucleus to express glucose transporter GLUT4. 3. Glucose enters the cell and energy is obtained through catabolic reactions. 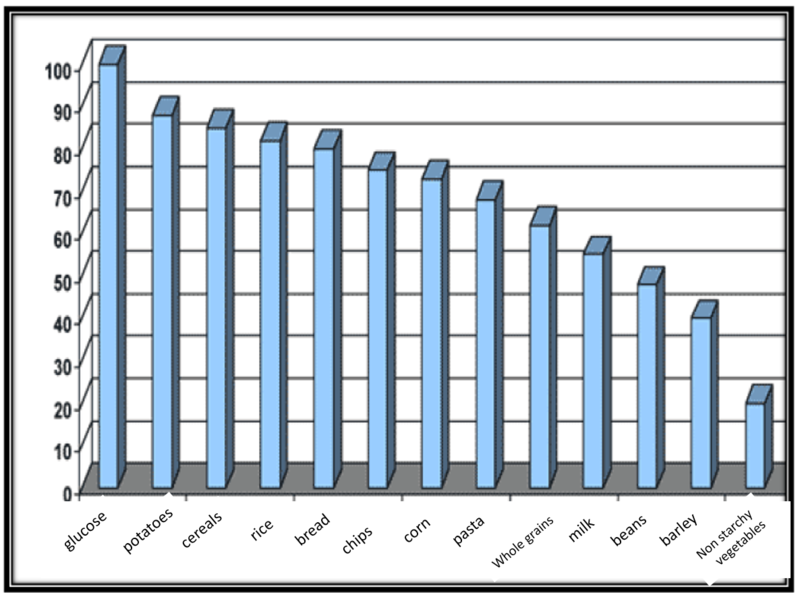 As in diabetes mellitus type II, glucose peaks after food intake overloads insulin. A glucose excess in plasma ends up reacting with plasma proteins like hemoglobin. In deed, glycemia is tested at the hospital by measuring glycosilated hemoglobin. Food with high GI produce glucose peaks. We need glucose, but not glucose peaks, so we should choose wisely food with lower GI. It is also much more wise to choose food that includes not only carbohydrates but also other nutrients. Common sugar contains just empty calories, we should avoid it, and whenever we have the chance, we should choose whole grain ingredients, since they have lower GI and provide us with vitamins and minerals that were removed from their refined processed versions. Glucose has its metabolic routes, a glucose excess supposes a metabolite excess as well. Both, glucose and its metabolites, produce advanced glycation-end products (AGE products) formed by the reaction of glucose and its metabolites with molecules present in the body such as proteins. As we age they accumulate in the body and they might be responsible for some metabolic diseases we suffer. The mechanism of formation is still unclear. It has been suggested that, in their open form, glucose aldehyde moiety will condense with a free amine of proteins, subsequent rearrangement will give an Amadori educt. This compounds are very reactive and produce multiple compounds. The most understood derivative is glucosepane. The proposed mechanism suggests that upon water loss the Amadori educt forms Lederer’s glucosone which reacts with arginine to give glucosepane. Glucosepane has been described as the mayor responsible collagen cross-link between collagen fibers inducing changes in this structural protein and disorders in the extra cellular matrix. In addition, protein glycosidation changes its structure, modifying its affinity for substrates or cofactors and loosing or reducing its function. The multiple AGE products isolated from glucose metabolism are also known as Maillard reaction products. Glucose and proteins in foods can react before eating them if we cook them at high temperatures. Caramelization, grilled steaks, marshmallows, condensed milk, chips, beer,…cooking at high temperatures produces AGE products that have been related to some diseases as we have seen above, but there is something else. Cancer and the Warburg effect. I want cancer to have pivotal role in this blog, many of us have a personal relationship with it. In 1931, Otto Heinrch Warburg won the Nobel Prize in Medicine and Physiology for the so-called Warburg effect. 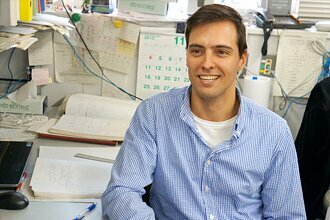 It is still unknown how, but he discovered that cancer cells stop using the electron chain transport to obtain ATP and use just aerobic glycolisis, which is a much less effective route. Glucose transporters are over expressed in order to satisfy such a high glucose demand. Nowadays, there exist several research lines that combine the glucose molecule with a cytotoxic agent that kills the cell. These combined compounds enter selectively cells with overexpressed glucose transporters and, as a troyan horse, induce cytotoxicity once inside. Blood glucose peaks produce the ideal environment for tumor cell growth, hampering its treatment or even reaching other organs by metastasis. We will see more about it in future posts. How can we have a sweet life without using glucose? with artificial sweeteners, aspartame, saccharin, stevia, xylitol, manitol, sorbitol,… Some of you might be surprised but there is no evidence of harmful effects of artificial sweeteners, but we will talk about it in a future post. I hope you liked the post, if so, please, share it so everybody will at least think it twice before taking sugar next time. The sooner we stop taking high GI foods the later we will face aging degenerative diseases. I’ll be looking forward to your further elaborations on this in future posts. Thank you for your interesting comments. As you know, cancer is more than 100 diseases, and there is no general treatment for all of them. However let me refine my statements and I think you will agree.
. ¨Depriving the brain of glucose will kill you faster than malignancy¨ This is definitively not true. 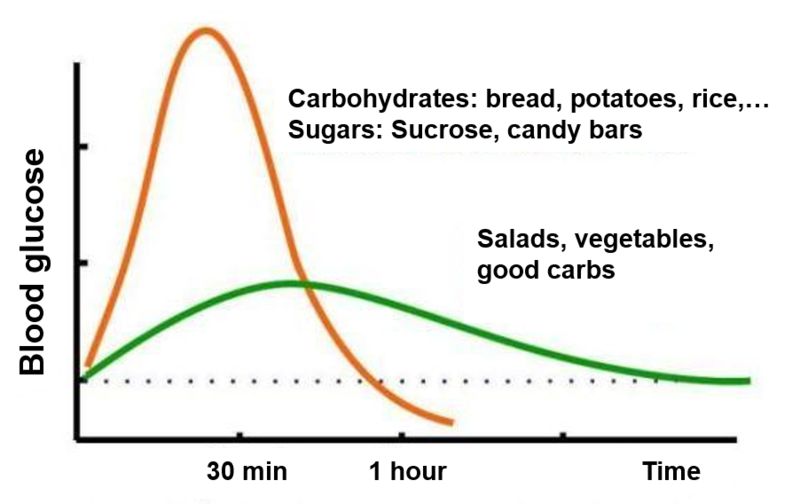 After around 12 hours fasting, glycogen is depleted, gluconeogenesis keeps glucose levels constant, and brain and muscles start to consume ketones, B-hydroxybutyrate. Many people are on a ketogenic diet and they don´t die. My next post will be about it. Please understand that I am not stating that stopping sugar will cure cancer. But I think that according to the experiments we can see in the scientific literature having high blood glucose levels could correlate with cancer development. Again thanks for your comment and hope you will subscribe and come back soon.